I don't want to work, I want to bang on the drum all day. Get down on it! Get down on it! So long, farewell, auf wiedersehen, good night. Get into the groove, boy you've got to prove, your love to me. If you recognize the song quotes that's good. It means you've got your dancing shoes on and you're ready to party. This weekend is filled with festivals, music and fun. There's a drumming festival (hence that reference), Sound of Music Sing-a-Long (clearly) and really I just like that Madonna song and it makes me want to dance! So go and get your groove on this weekend. Here are this weekend's picks. The Touch-A-Truck Street Fair and Fundraiser is a festival where kids can come and touch, climb on, sit in and experience many of the trucks they see in their everyday life. The festival offers families a day of fun, food, entertainment plus a musical performance by the Dirty Sock Fun Time Band and more. There will also be activities such as arts and crafts, games, face painting, and of course trucks! The fun takes place at the West Side at YMCA on Saturday from 10:00AM to 4:00PM. There is free admission and activity fees start at $1. Help celebrate 25 years of music in Brooklyn schools at this musical celebration in front of the Brooklyn Public Library. Three hundred elementary and middle school students from their Music Partners Programs and one of their celebrated senior choirs will gather on the steps of the Brooklyn Public Library at Grand Army Plaza and perform works by various artists for friends, family and community members. Along with special guest, the Brooklyn Jazz Orchestra. 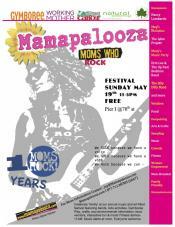 Taking place on Saturday from 10:00AM to 1:00PM, this musical event is free to enjoy. Madison Square Park is having a Free Spring Kids Fest. This free event is open to the public and is a guaranteed amazing time for your little ones and the whole family. Music from songs for seeds and Rolie Polie Guacamole. There will be a games section with ongoing yoga sessions throughout the day from Karma Kids Yoga, hula hooping, ring toss and activities from MoMath. Storytime for the kids. And there will be an eating tent with goodies from the Treats Truck and Popchips and much more! The festival takes place on Saturday from 10:30AM to 1:30PM. It is free for all to enjoy. The 40th Annual Ninth Avenue International Food Festival is happening this weekend. Every Spring, The Ninth Avenue International Food Festival celebrates New York City's prosperous and diverse food culture and cuisine. Experience various cuisines from countries such as Poland, Italy, Spain, Greece, Japan, Thailand and many others. There will be an entire block of family friendly rides. A "Food Truck Park" and over 60 booths of art and handmade gifts from local artisans. 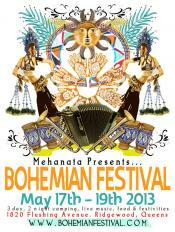 There will also be two stages with live entertainment of international music and dance at 55th Street. The festival takes place on Saturday and Sunday from 12:00PM to 5:00PM in Midtown West on 9th Avenue between 42nd and 57th Street. The event is free to attend and food prices vary. Circle Of Dance! Annual Children's Festival: "Aloha Days at NMAI"
At this annual festival you can help celebrate the culture, traditions and values of Native Hawai’i. The National Museum of the American Indian invites you to participate with interactive dance performances led by Hālau O ‘Aulani. And drop into one of the many workshops to enjoy a kapa print activitiy, lei making or kuikui nut bracelet creating. The event takes place on Saturday from 12:00PM to 5:00PM. It is free for all to enjoy. 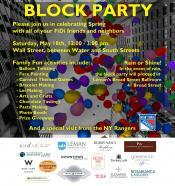 The FiDi Association will hold its Spring Community Day 2013 Block Party. The event will include fun booths and activities for the whole family. Members of the New York Rangers have also promised a visit to the event which will include Carnival Themed Games, pasta making, balloon twisting and exciting prize giveaways and many other activities. The event takes place on Saturday from 12:00PM to 3:00PM on Wall Street between Water and South Streets in the Financial District. This event is free for all to attend. Bringing together a diverse palette of live music, globally sourced DJs, dancers, performers, art and workshops, the VanderEnde-Onderdonk House in Queens is having their second annual Bohemian Festival. It will be both a culturally rich and insanely festive camp-out and non-stop party on the grounds of the historic Onderdonk House. There will be live music by a host of talented musicians and performers. Yoga workshops, Tahitian dance workshops and performances, belly dance workshops, henna tattoo artists, tarot card readers, and more. The festival take place on Saturday and Sunday from 12:00PM to 8:00PM. The cost is $10 and is free for children under 12. 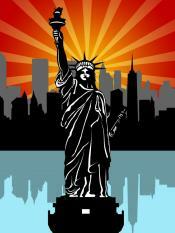 Get your dancing shoes on and join the Grand Marshals and 10,000 dancers for NYC's 7th Annual Dance Parade on Broadway. There will be over 75 diverse dance styles; everything from ballet to break dance. The dance parade will begin at E 21st Street and Broadway and continue on Broadway to University Place. Once on University Place and E 8th Street, parade will turn towards St. Marks Place and continue on towards Tompkins Square Park. 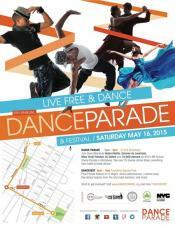 A Dance Fest will be held after the parade, in Tompkins Square Park. There will be 3 stages of dance lessons and a big ole' dance party. Get down on it on Saturday from 1:00PM to 3:00PM. This event is free for all to enjoy. 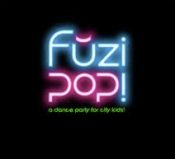 FUZIPOP! is an event where children and parents together can listen to DJs playing the latest in electronic music alongside their favorite hits, dance, see a live performance and experience a nightclub environment in a safe controlled daytime setting. DJ Kai Song their 8-year old resident DJ will play current Popular Dance Music as well as “Club Classics”. Activities include a neon glow time extravaganza, creating accessories at the "Glow Table", dancers who perform and teach the latest dance moves, free snacks, drinks and more. This event is geared towards kids aged 5-10. The fun takes place on Saturday from 2:00PM to 5:00PM. General Admission costs $20, and a Family 4-Pack $60. 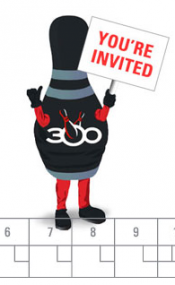 Tommy Ten Pin invites your family to Kids' Fest at 300 New York. Families can enjoy one free game and shoe rental per child. They will also have treats and family-friendly activities from 300 New York and other local businesses. Tommy Ten Pin will also be there to meet and greet the kids. The fun takes place on Sunday from 10:00AM to 2:00PM. Helping to build a community of women (and children!) 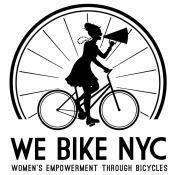 on bikes, WE Bike NYC invites you to ride with them. This is the kick-off event to their Moms on Wheels initiative. At Carroll Park in Brooklyn, this initiative will provide support to new and seasoned riders alike and provide mom and kid-friendly rides, safety education, and fun bike activities for all ages. Activities include bike seat try out's, face painting, bike, scooter and stroller decorating, snacks, an obstacle course for the kids, fix-a-flat demos, helmet fitting and much more. Dads are welcome! The event is free and takes place on Sunday from 10:00AM to 2:00PM. Moms Rock! Celebrate them right at the annual music and art-filled festival featuring family bands, arts and crafts, face painting, a Gymboree Play Tent, eco-environmental information, food, vendors, interactive fun, and more! 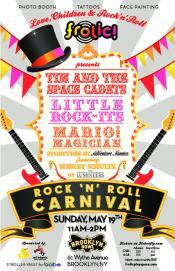 Performers include, Erin Lee & The Up Past Bedtime Band, The Silly Dilly Band, and Moey's Music Party. The event takes place Sunday from 11:00AM to 5:00PM. It is free for all to enjoy. The Eleventh Annual DRUMS ALONG THE HUDSON: A NATIVE AMERICAN FESTIVAL will take place in Inwood Hill Park. This is a multi cultural family-oriented festival. 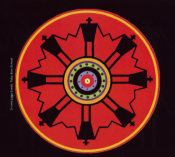 The festival includes exhibitions of world dance, drumming traditions, Native American crafts and international foods. In keeping with the underlying theme of environmental appreciation and education, the event will feature an environmental tent which will include appearances by Captain Planet. The event will be held in Inwood Hill Park at 218th Street and Indian Road (4 blocks west of Broadway). The fun takes place on Sunday from 11:00AM to 6:00PM. It is free for all to attend. The kids and parents will all enjoy at the Frolic! Rock 'n' Roll Carnival at Brooklyn Bowl. The party includes performances by Tim and the Space Cadets, Little Rock-Its by Frolic!, Mario the Magician, storytime with Wesley Schultz of The Lumineers, rock 'n' roll tattoos, face painting, photo booth, jugglers and more! The fun takes place this Sunday from 11:00AM to 2:00PM. Children Age 12 and Under are $10 in advance, $15 day of show. Children Age 13 to Adult are $15 in advance, $20 day of show. Infants under 6 months get in for free. 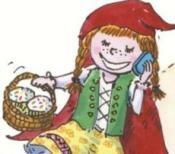 Little Red’s Hood is a retelling of the classic “Little Red Riding Hood” tale. The production features a dozen, hand-made marionettes crafted by the puppeteers from the Swedish Cottage Marionette Theatre. Taking place this Sunday at St. Catherine's Park on the Upper East Side at 12:00PM. This show is free for all to enjoy. If you’ve always wanted to be a part of a musical, this is your chance! Get your vocal chords warmed up for this screening of the Academy Award-winning Julie Andrews movie musical, complete with subtitles so that the whole audience can sing along. Classic tunes include “Climb Every Mountain,” “My Favorite Things,” and of course the soaring title song. Please note that this event runs almost four hours and is therefore not recommended for children under six years of age. The event takes place on Sunday at 1:00PM. The cost is $15. Bring your little ones to this free, interactive, 45-minute concert that’s designed for children ages three to six, and fun for the whole family! The Itty Biddies are a trio of sweet songstresses with cool, clubby roots that will lift you out of your seat from the first note. Their show takes audiences on a journey of imagination through story and song, from an African safari to the big skies of Texas and back on the subway in New York City. The Itty Biddies soaring vocals, joyful ukulele, and groovy bass will have both adults and kids singing and dancing all the way home. The show takes place at the Abrons Arts Center/Henry Street Settlement on the Lower East Side. On Sunday from 3:00PM to 4:00PM, this show is free. At Fort Greene Park near the Monument you can join Bija Kids and friends for an afternoon of family fun! Talia will lead yoga, Thomas will work with your kids to create outdoor art. Acopladitos is coming by for a concert. There will be refreshments, face-painting, raffle prizes and more. The event takes place on Sunday from 2:00PM to 4:00PM. Join the Richmond County Bank Ballpark as they host their Touch-A-Truck Festival. There will be Inflatable Playhouses, Music, Crafts, Clowns and Games. And Trucks of course! Kids can explore a school bus, tow truck, steam roller and more. The event takes place on Sunday from 12:00PM to 5:00PM. The cost is $7 for Admission online, $8 at the door.